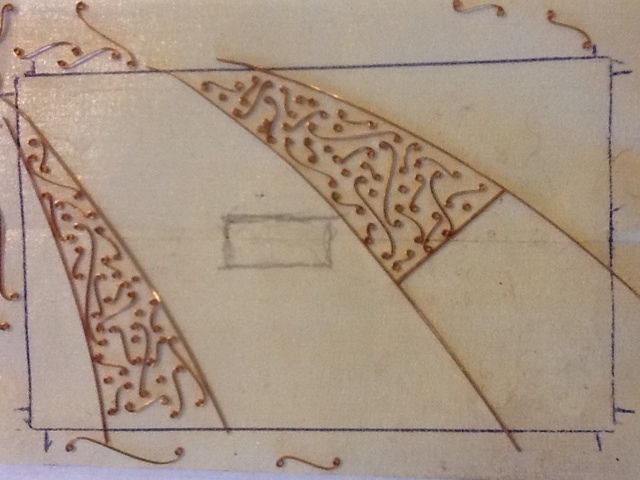 Today we’re making enameled copper switch-plates. Check out those tiny pieces of wire. In spite of bad eyes, years of chain maille has made me love detail work like this.